The Royal Mile refers to the road that connects Edinburgh Castle with the Palace of Holyroodhouse. Lined with stunning townhouses and interesting historic landmarks, this awe-inspiring thoroughfare should be your first stop in the city boasting its shops, museums, inns, cafés and restaurants. 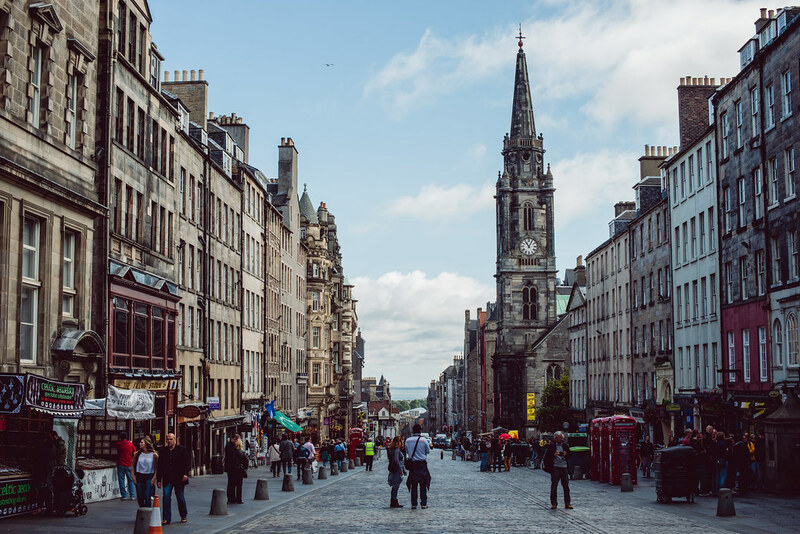 Several buildings are soaring, which average six to 15-stories and locally are called “lands.” Some of the well-known highlights to be found at the upper end of the Royal Mile are Castle Hill and Outlook Tower and the Camera Obscura with its breathtaking views. Not only is Edinburgh Castle the most famous landmark, but one of the most admired tourist attractions in the country. Some of the highlights comprise of One O'clock Salute from Half Moon Battery, the absolutely stunning Scottish National War Memorial, and the impressive collection of Crown Jewels which are housed in the Royal Palace. Another famed feature is the Stone of Destiny, or the Stone of Scone, which was stolen by Edward I and placed under the English throne in the British capital. The Palace of Holyroodhouse is the official Edinburgh residence of the Queen and has often been at the centre of Scottish history. It was where James II and James IV were married and where James V and Charles I were crowned. When the Queen is away, public access to the striking Historic Apartments (former home of Mary Queen of Scots) is permitted. Also one can see the State Apartments, which are renowned for their great furnishings, plaster work etc. St Giles Cathedral, also known as the High Kirk of Edinburgh, is the principal church in the Scottish capital. With its well-known crown spire this church stands on the Royal Mile between Edinburgh Castle and the Palace of Holyroodhouse. The present church dates back to the 14th century, although it was extensively restored in the 19th century, and is protected as a category A listed building. The church has been one of sacred focal points for around 9 centuries. Interior highlights of this church comprise of memorials to the dead of WWI, stunning glass stained windows and a statue of John Knox, who was the leader of the Protestant Reformation. 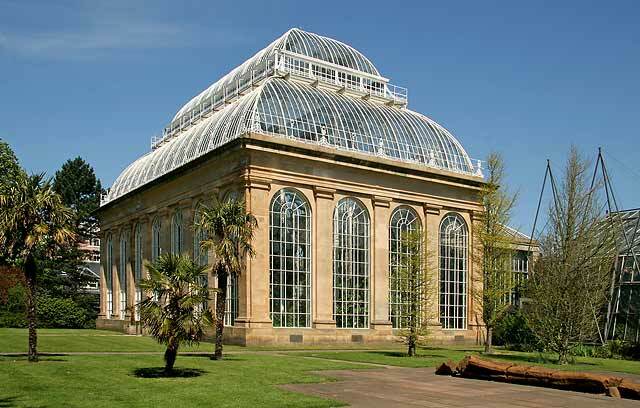 The Royal Botanic Garden in the city of Edinburgh is the second oldest garden in the Great Britain. Within its imposing 70-acres are a herbarium and the biggest palm house in the country. That’s not all! There are an alpine house, a tropical house with exotic orchids, a heather garden and many more. Other things to note are the woodland garden with its multi-coloured azaleas, camelias, hydrangeas and rhododendrons. Also, it’s perfect size seemed enough for a city - big enough to be a playground for people who compare flight tickets to Edinburgh for visiting national galleries and museums, great shops and restaurants. But its small size would keep you bumping into people you know around.